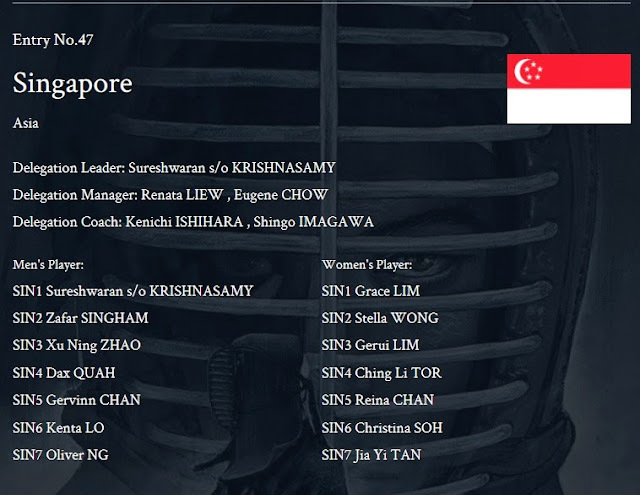 If you do not yet know who your Singapore Team representatives are, please see the updated WKC page here. We apologize for not putting up a proper picture of the team, however, take heart and know that it was probably cos they have been too busy training that they have not had the time to get a proper group picture done. That and two of their team mates are based overseas. In any case, please continue to support the Singapore Team, be it through hard keiko, purchasing our WKC merchandise, or just encouraging them with a rousing "Gambatte"! For the 16th World Kendo Championships official webpage, please click here.